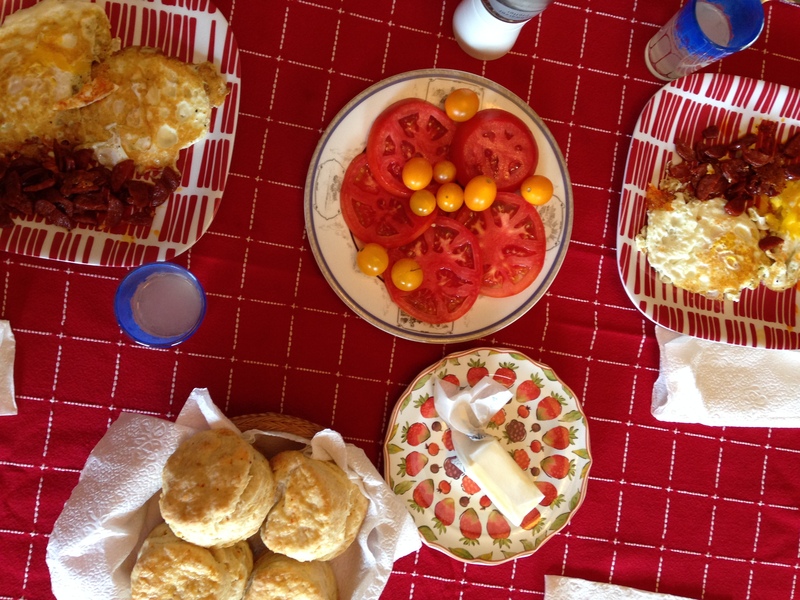 I live in the South and for breakfast I sometimes have biscuits. And sometimes I have grits. (Not on the same day.) This is not new to my new Southern living. 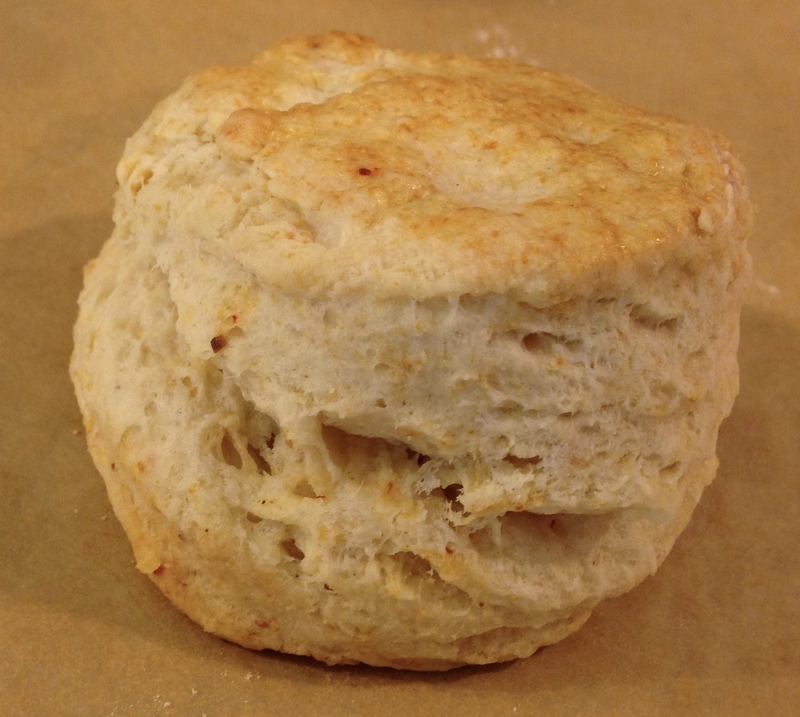 When I lived in NYC I often ate biscuits for breakfast. And sometimes made grits. I love biscuits. And I love grits. So my biscuit roots and my grits roots are not Southern roots. 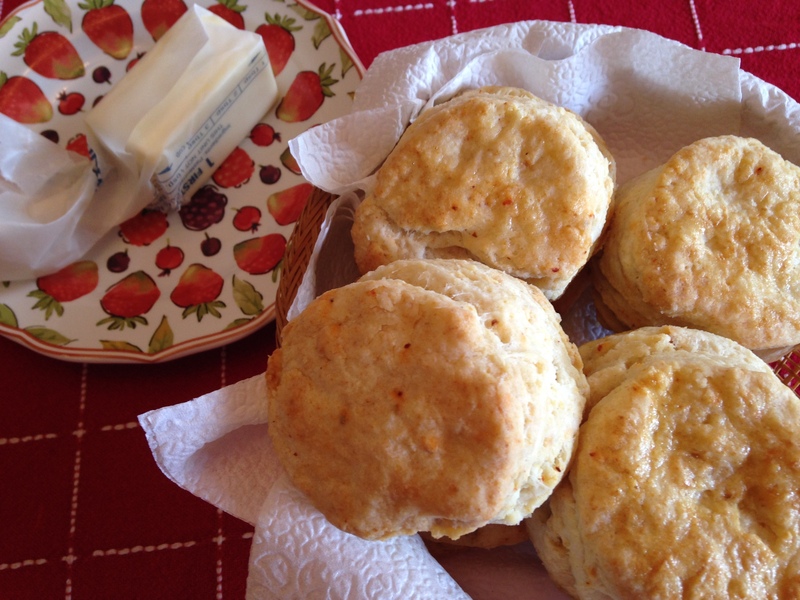 My favorite biscuit recipe is from Betty Crocker’s 1950 cookbook, a book my mom had when I was a baby and so I have it, too. My mom was born and raised in Brooklyn and she made Betty Crocker’s biscuits. That’s how I learned it. My grits recipe snuck into my repertoire somewhere in the 1990’s while living on Manhattan’s Upper West Side and followed me to Spuyten Duyvil in the Bronx and has followed me to the South. 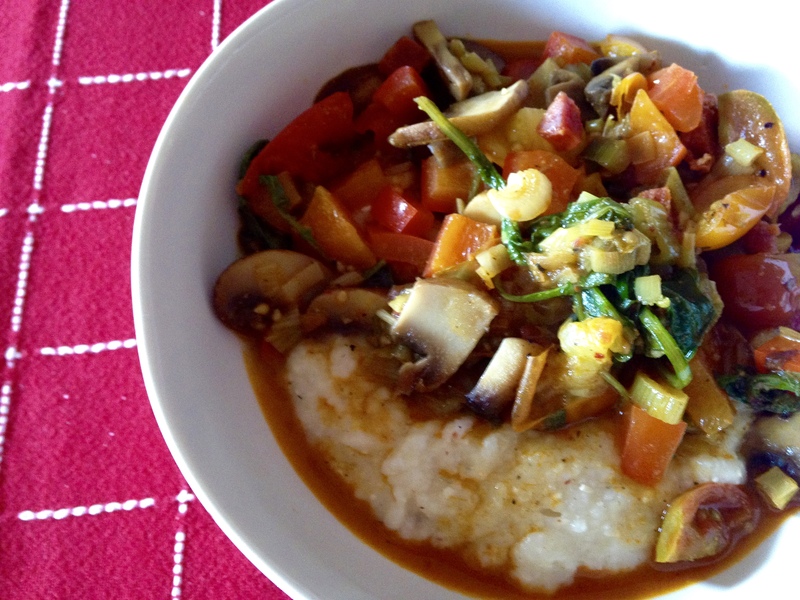 (Sorry, everyone, I use instant grits…what do you expect a New Yorker to do?) I call my breakfast grits “crazy grits” because they are certifiable. These are both breakfasts I eagerly look forward to. Mondays are usually grits mornings (Duane says it’s his favorite breakfast). For a while I refrained from making biscuits at all because we were trying to lose weight and bready, starchy things are weighty. 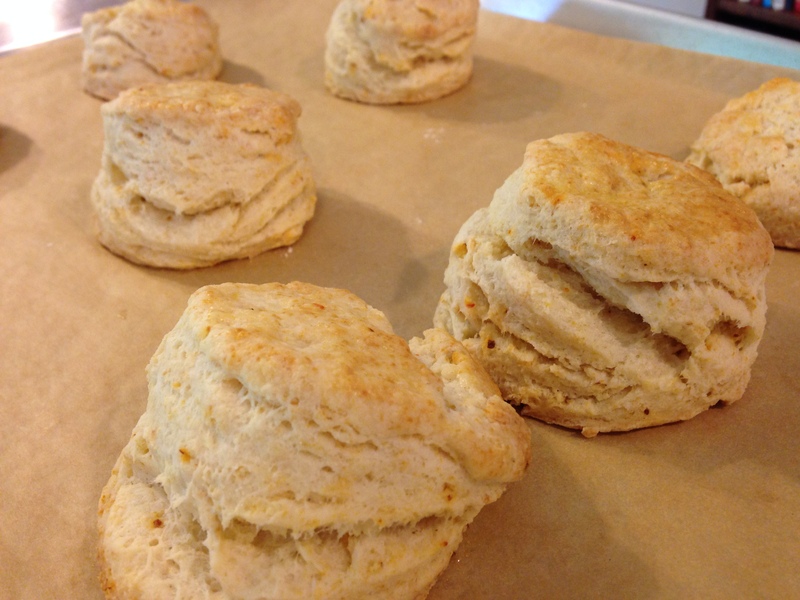 But just this past Sunday morning I threw diet to the wind and made biscuits. I could (literally) eat the whole batch, but I didn’t. But I wanted to. Page 67. That’s the page Betty Crocker’s biscuits are on. 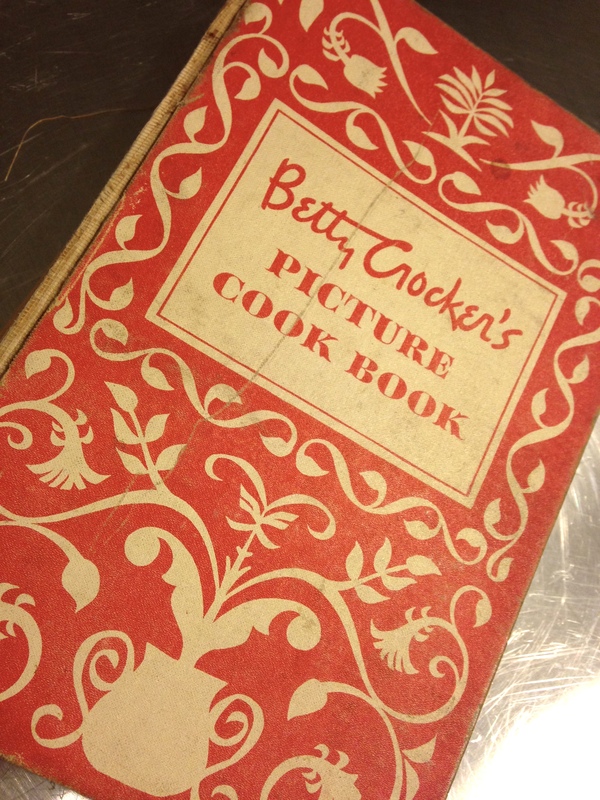 Even if I think I have it memorized I take out the book (red Pennsylvania Dutch pattern with a missing spine) and go immediately to page 67 for the recipe. This past Sunday, tho, I just went with my whimsy (and left the book on the shelf). A cup and a half of flour. A teaspoon and a half of baking powder, a large pinch of salt, a bit of aleppo, 4 tablespoons of butter, cut in with a pastry cutter. Betty then adds milk. I was feeling devil-may-care. I had a leftover 1/4 cup of ricotta. And a leftover 1/2 cup of heavy cream. Oh yeah. I barely knead it. Just push together to stick and pat into a thick disk. 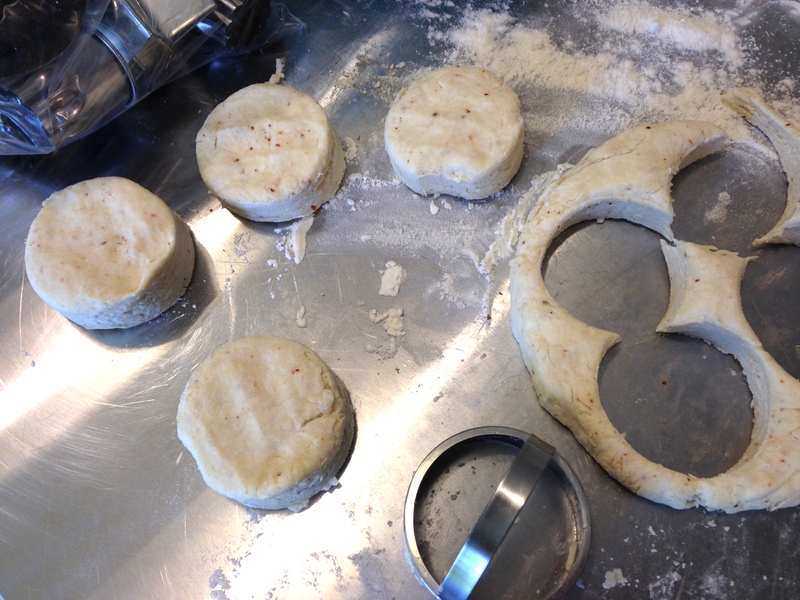 cut biscuit dough straight down. no wiggling. Over easy eggs. A few chorizo sausages chopped up. Some summer sliced tomatoes. And biscuits and butter. breakfast of champions. or silly people. or both. On Monday… the grits. Here’s why they’re crazy. 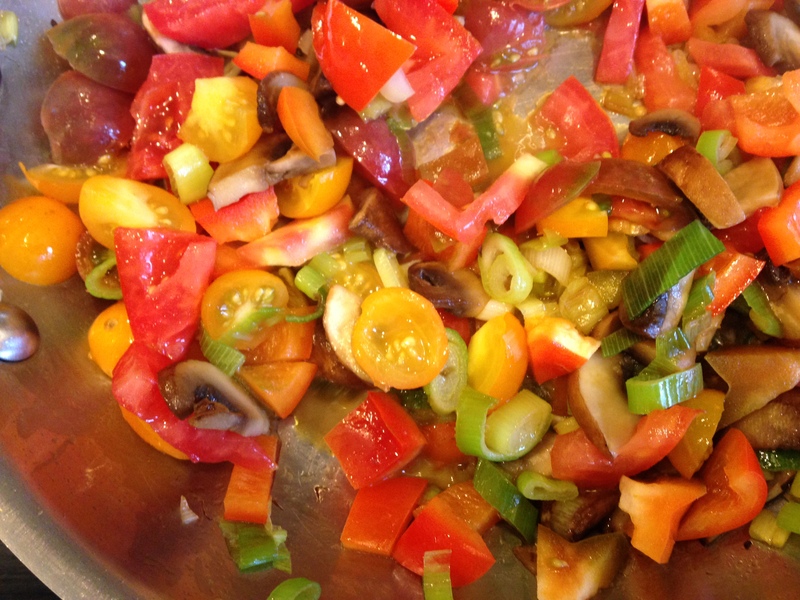 I top them with a sauté of vegetables (etc) that are hanging out in the refrigerator. This time there were 3 kinds of tomatoes, 2 kinds of peppers, mushrooms, onion, scallions, arugula, and some more chorizo. I sauté these up in a medium fry pan, while the grits simmer in a medium saucepan. I add salt, parmigiano, cumin and some aleppo to the grits. I add cumin, salt, pepper, turmeric (just a tad) to the veggies. Sometimes I splash a bit of vermouth. 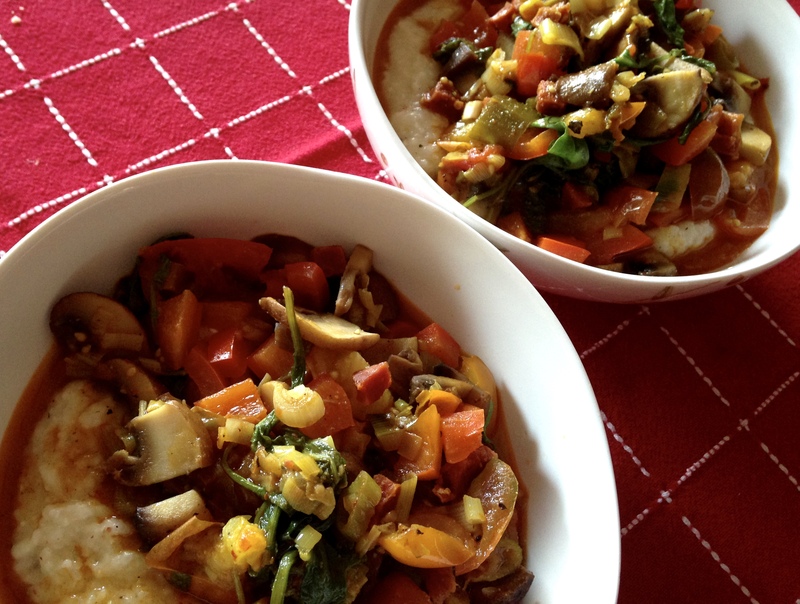 The grits go first into the bowl and then the tasty chopped wonders on top. Duane adds one of his hot toppings: ghost pepper sauce, tabasco, or sriracha. I just take it straight. Breakfast. Break that fast with delicious. Nothing much Italian about these dishes, but a palate must roam. Thanks, mom. And Betty Crocker. This recipe looks unassuming but once you unleash it in your kitchen you must eat every single one of them. Yes, they are that good. Even if your first bite does not tip you off. It’s the how-often-you-go-back that proves the point. 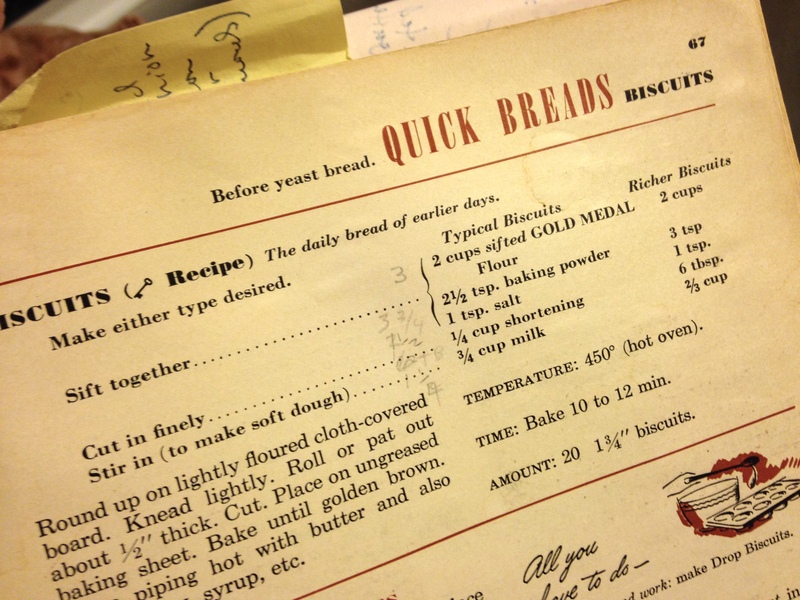 It all starts with a biscuit recipe from an old Betty Crocker cookbook (copyright 1950). Take the dough, roll it out, add the butter, cinnamon & sugar and make the twists. Bake ’em, then top with vanilla glaze. Ear-re-SIST-able. Here’s my demo on WSMV Channel 4 Nashville’s More at Midday show (with Holly Thompson). And the recipe is below. Whisk the flour, baking powder and salt in a medium mixing bowl. Add 4 1-tablespoon pats of cold butter. Cut into the flour mixture with a pastry cutter or knife until butter pieces are small specks. Add milk and whisk together with a fork until a dough forms. Knead just enough to press into a thick disc of dough. Roll out on a floured work surface to ¼ inch thick. Spread the 4 tablespoons of soft butter to cover surface of dough. Sprinkle cinnamon and sugar evenly over surface. 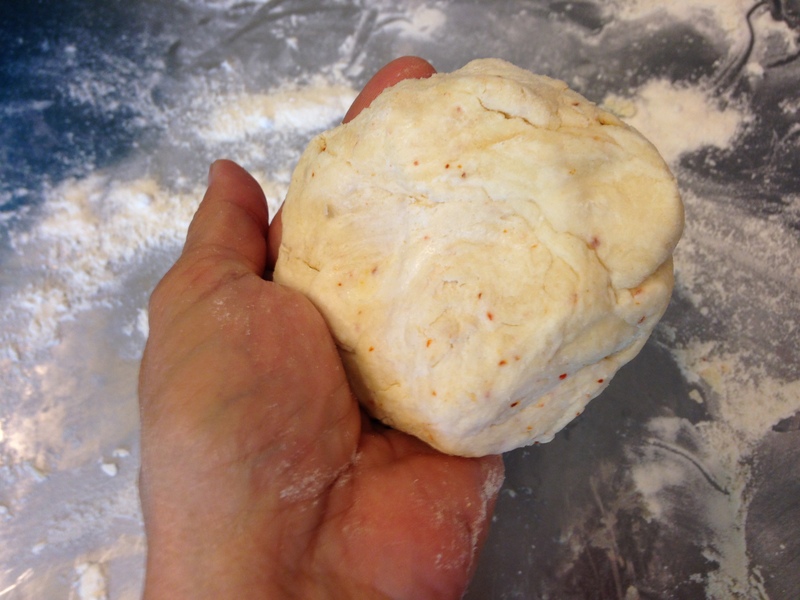 Fold dough in half and rolled lightly to seal together. Cut into 1-inch strips. Lift each strip and twist into a loose spiral. Place on a baking sheet. Bake for 10-12 minutes until golden. Let cool then drizzle glaze. Place sugar in a medium mixing bowl. Run tap water until very hot. Add water to sugar 1 tablespoon at a time, stirring, until you have a semi-thick icing. Stir in vanilla. Drizzle over cinnamon sticks.